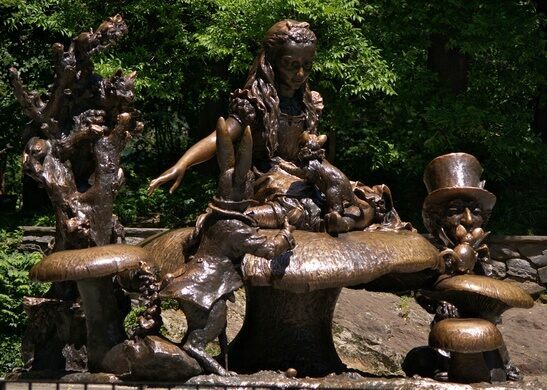 Amidst the bustle of New York City in the heart of Central Park is a celebration of a beloved children’s classic—Lewis Carroll’s Alice in Wonderland. The group of bronze statues was commissioned by local philanthropist George Delacorte in honor of his wife, Margarita, who used to read the book and Carroll’s other works to their children. They were designed by sculptor Jose de Creeft and brought to the life at the Modern Art Foundry in Queens. 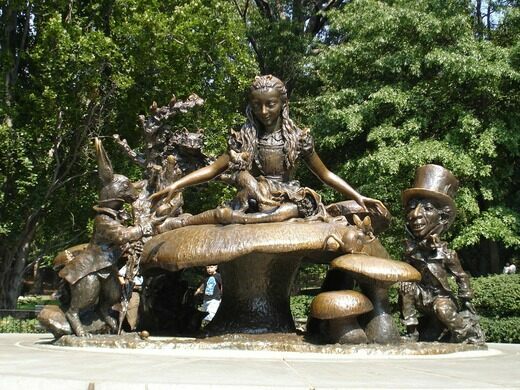 The heroine of the book Alice is seated atop a giant mushroom and the statue is thought to be a likeness of the designer’s daughter Donna. 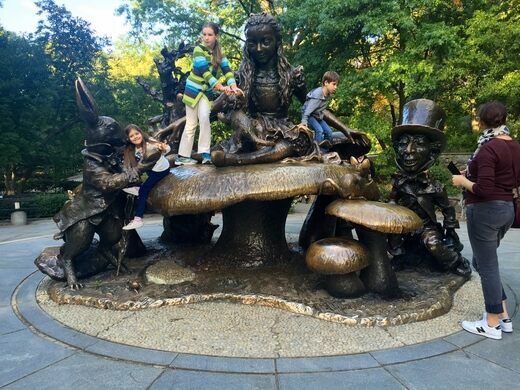 The book’s other characters like the White Rabbit, the Dormouse, and the Cheshire Cat are all placed around Alice. 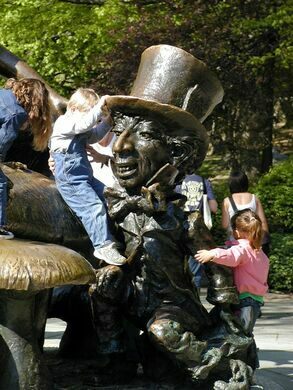 The statue of the Mad Hatter is supposed to be a caricature of George Delacorte himself. Since the monument was dedicated in May 1959, it has been a favorite of children visiting the park, who enjoy scrambling all over the statues, which were designed with this express purpose in mind. 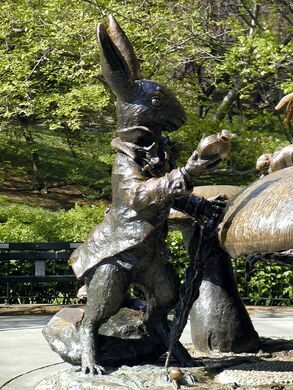 Margarita Delacorte’s favorite Lewis Carroll poem The Jabberwocky is engraved around the statue, along with other poetic bits from the book, all referencing nursery rhymes and childhood songs of the time. The one engraved text modern audiences can most easily recognize is Twinkle Twinkle Little Bat—its source material still sung by kids today. The statue is located on East 74th Street, north of Conservatory Water.